A full kitchen installation into a remodeled room. 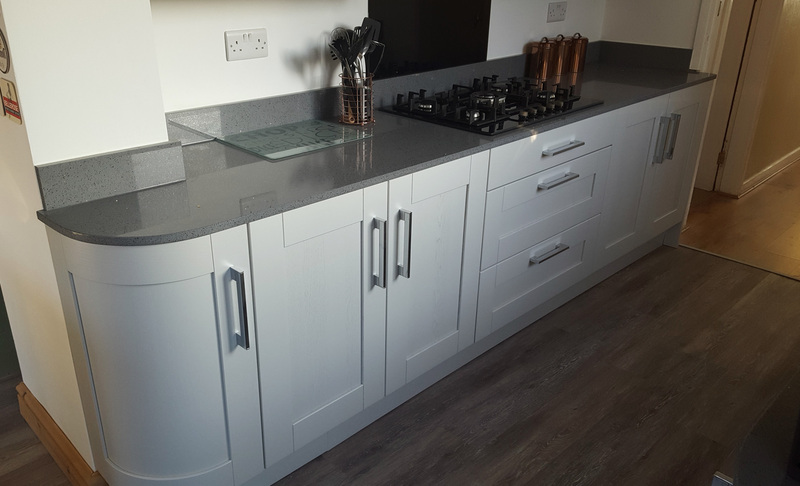 Mrs Clarke chose the Madison Painted range in Light Grey to create her dream kitchen. Portfolio Kitchens aim is to deliver a seamless service from concept to completion with passion and pride. We would like to say a massive thank you for all your time and patience helping to create our new kitchen, there were many changes along the way but with your help we got our dream kitchen. I would definitely recommend Portfolio Kitchens to anyone. 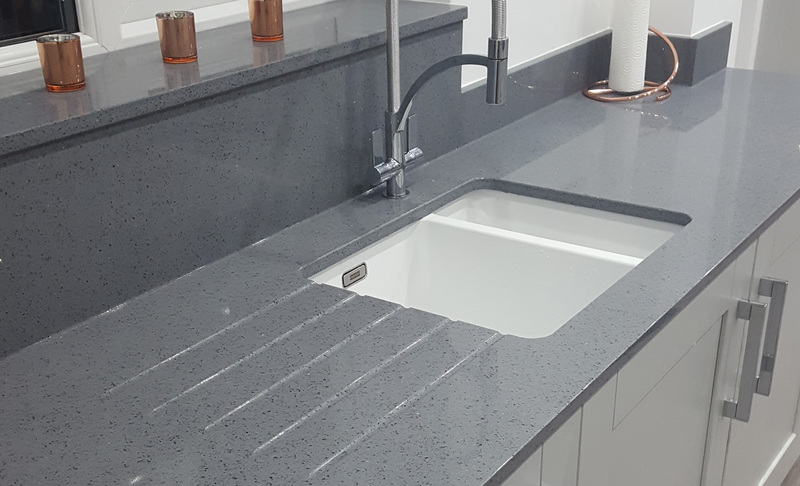 Mike wanted to upgrade his kitchen to something contemporary in style so after a thorough design consultation with Portfolio Kitchens, the Madison shaker was the kitchen of choice. 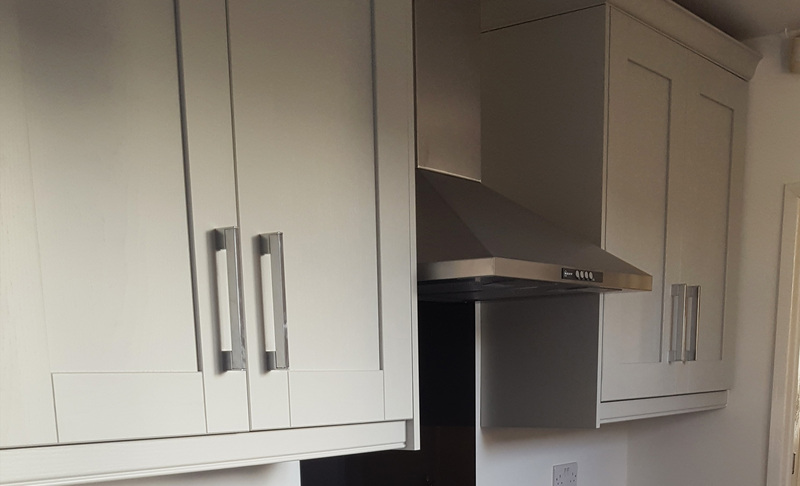 The clients, Mr & Mrs Daniels, wanted a kitchen which would maximise as much of the small space available as possible.